6 days of bliss at Kariwak Holistic Haven. Complimentary private bodywork session of your choice. Catamaran day-cruise onf the Caribbean sea with stops at secluded beaches for bathing and snorkeling. Lisa Dowling and Darcie Clark are instructors with more than 25 combined years of teaching and practice. Lisa has led thousands of clients back to health through bodywork and restorative movement. 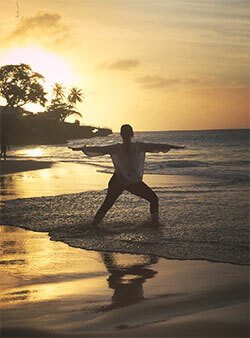 Darcie enjoys a thriving schedule teaching yoga privately, in workplaces, and at YogaSpace and PhysioPlus in Toronto.